Or my entry for the KitchenAid contest as part of the IFBM 2014. I have this distinct memory of evening tea at the home of my mom’s friend, who made this delicious summery dessert that she called a flan. 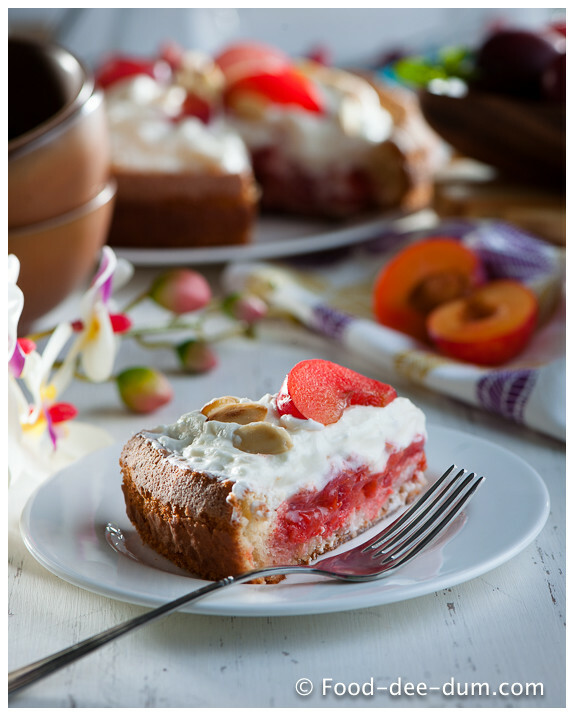 It was a sponge cake with a hollow basin which she had filled with whipped cream and fresh fruit. I think it was mango & kiwi. But I could be a little off base with the specifics of which fruit was in the flan! But I remember falling in love with that dessert, despite not usually liking the typical Indian bakery sponge cake layered with lots of whipped cream. There was something light and fresh about this one which stuck in my head for years. Typically, if you search for flan online, you will get lots of results for custard-y recipes or those which are like a pie with a shortcrust pastry shell filled with fruit and cream/custard. So I kept wondering if that “distinct memory” was simply a figment of my imagination. But I recently found a similar recipe in an old Anne Willan fruit dessert book that I have, a sponge with cream and fresh raspberries. I got so excited and it’s been on my mind since. I have been wanting to blog it for quite a few months now. But I was being extremely lazy with my baking in this horrendous and melting Delhi heat. Plus, the family birthday month came along and there wasn’t too much time left to spend in the kitchen. After an almost 4 day spree of food and drink for my birthday and then my dad’s, I realised I had hit the LAST day to enter the KitchenAid contest being held for the participants of the IFBM 2014, which I am attending early next month! Eeeeks. 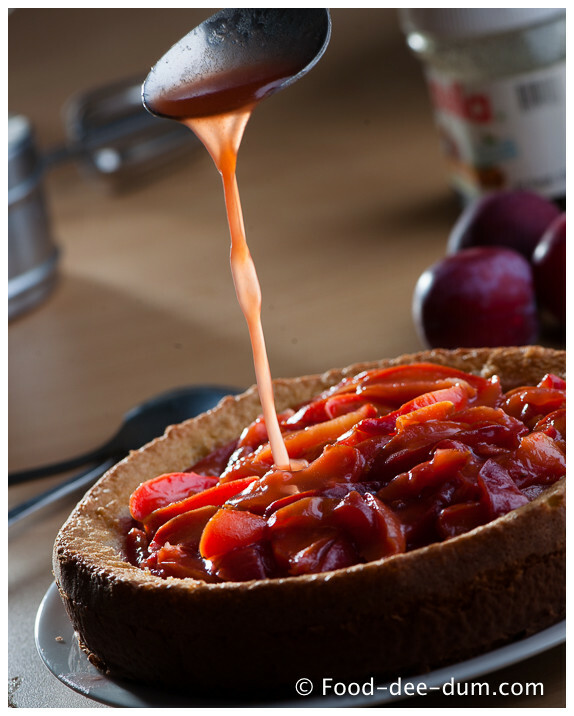 So I decided to kill two birds with one stone and finally make this flan, using caramelised plums (plums are defined as the core ingredient required by the contest rules). I adapted the sponge recipe from the Anne Willan book to make it a little more almond-y because I really like that combination with plums. The rest is a mish-mash from snatches of ideas in my head! First I washed the plums, pitting and halving them. Then I cut them into thin wedges, 8-10 per plum depending on their size. Then, to caramelise them, I placed the granulated sugar in a flat-ish silver coloured pan (so I could see the sugar changing colour) and kept the butter, Grand Marnier, cinnamon and plums close at hand for when I would need them quickly. I placed this on medium-high heat until it started melting and then slowly started turning golden in parts. I didn’t add any water or stir the sugar, simply lifting the pan up carefully with pot-holders to swirl it around a little occasionally. When all the sugar had melted and it was a pale gold, I turned off the heat to avoid further cooking (or burning) and put in the butter, Grand Marnier and cinnamon and stirred it with a metal spoon (not pictured — only the indication of the colour when I turned off the heat). 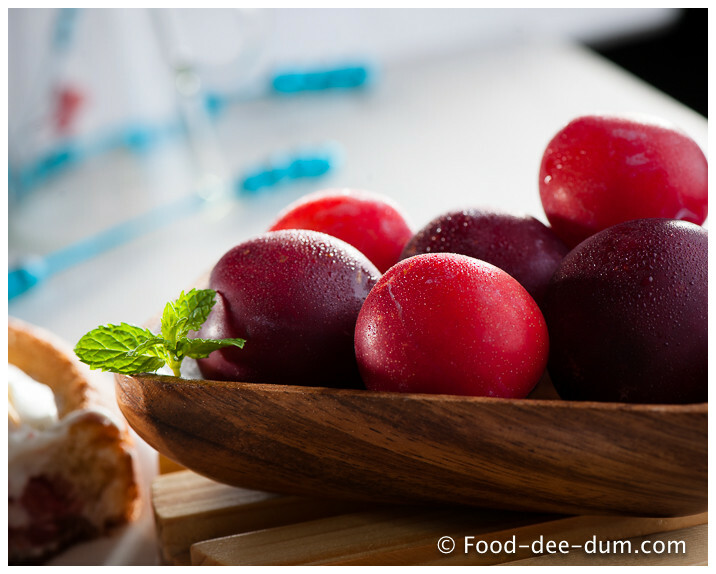 I added in the plum wedges, reserving a few for garnish, and turned the heat back on to medium to cook the plums. Stirring gently, I let them cook till soft but not mushy, about 5-6 minutes. The plums release a fair amount of juice at this point and you will have a whole lot of liquid in the pan, which you can reserve to soak the cake with later. 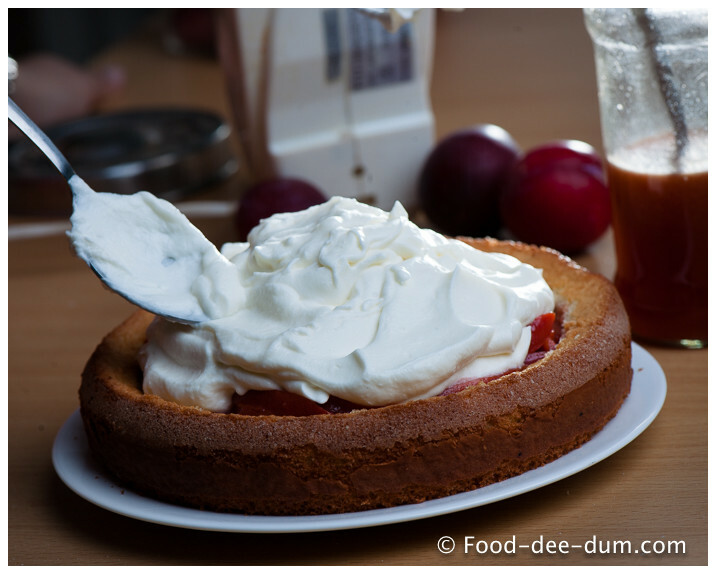 I put the plums and the juice aside to cool while I prepared the sponge. 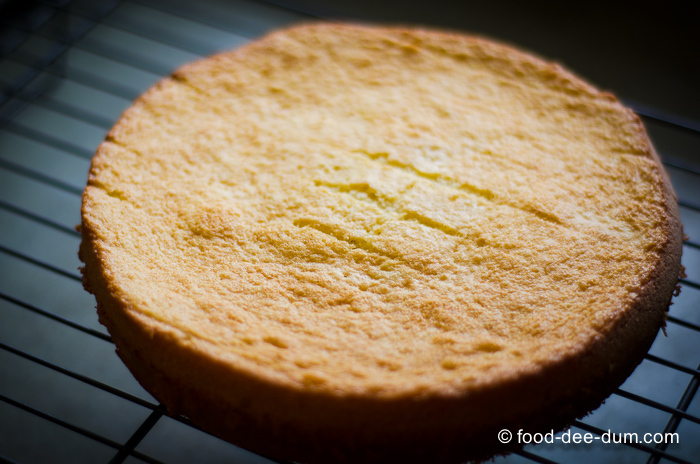 First, I turned on the oven to pre-heat at 150 C. Next, I prepared an 8″ round cake tin by greasing it, lining it with butter paper and then greasing + flouring it some more. Putting all this aside, I measured out the ingredients and got cracking! I whisked the flour + baking powder together and kept it ready for use later. First, I placed the eggs and sugar in the bowl of my electric mixer and beat them together on high speed until they were pale, foamy, almost doubled in size. About 10 minutes. Then I added the almond essence and Amaretto liqueur and beat for another 30-40 seconds, until combined. 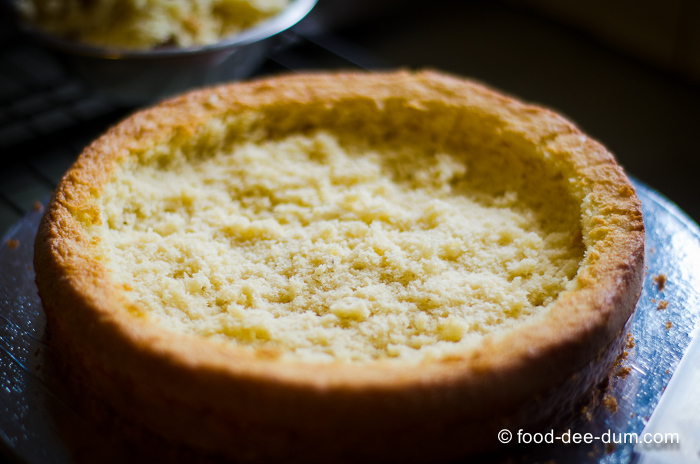 With a spatula, I added the flour+baking powder mix and folded it in gently so as not to lose all the beautiful aeration I had managed! These just need to be combined until no floury streaks remain. Spooning this mixture gently into the prepared pan, I baked it for about 18-20 minutes, until a toothpick inserted in the centre came out clean. The top was springy to touch and the sides had come away from the pan. I let it cool in the pan for 10 minutes before running a knife between the cake and pan and flipping it on to a wire rack to cool completely. 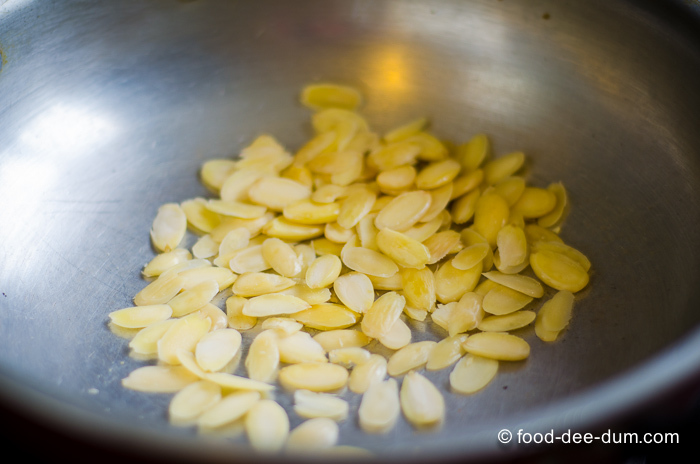 While the cake was cooling, I quickly toasted up some blanched almonds that I had flaked – you can just use store bought toasted almonds. 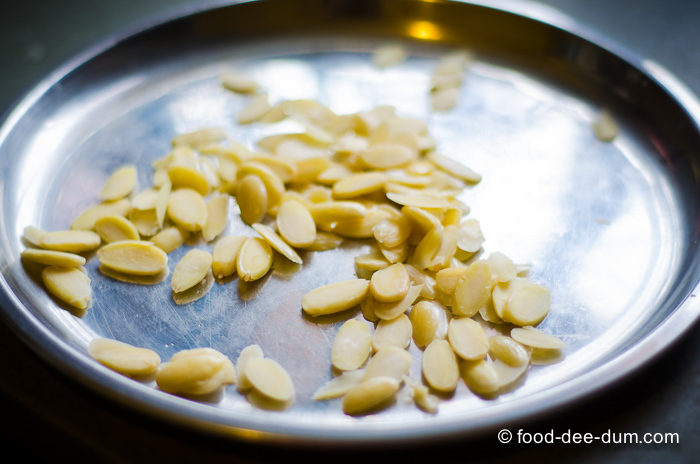 I just happened to have a lot of almonds at home so decided to blanch, flake and toast them myself. Once the cake had cooled, I had to create a basin for the fruit and the cream. So I placed it on a steady surface like a cake board. Then, using a serrated knife, I ran it parallel to the outer circumference, about 1/2 inch inside to leave a rim and then gently scooped out some cake to make a basin. 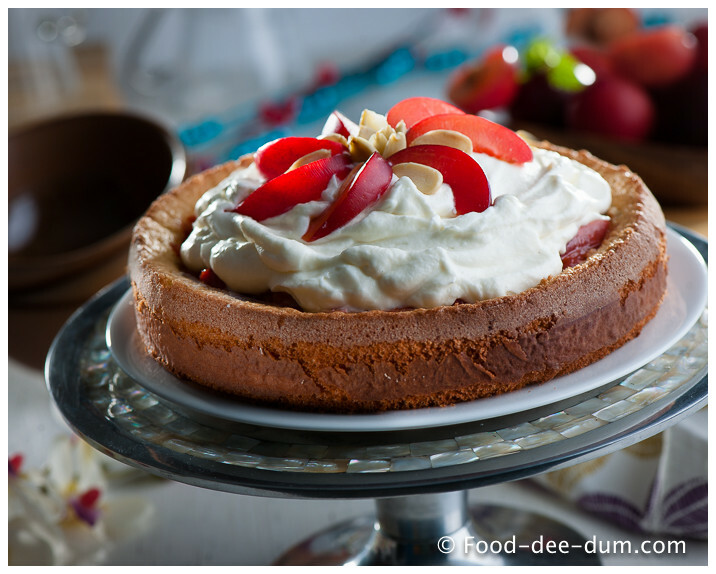 Traditionally, flan uses much more fresh fruit (as opposed to caramelised or stewed) so the whipped cream goes in first and then is topped by the fruit. But my plums were very juicy and boozy (!!) so I decided to reverse the order and place the fruit first. So, using a slotted spoon, I first spooned in the plums. Then I spooned in some of the reserved syrup. I still have much more left (which I will reduce and use for something else later, maybe a topping for ice cream) but I used as much syrup as I thought the cake could handle without becoming too soggy and falling apart. Approx 6-7 tablespoons. The plums themselves also let out more liquid which flowed down into and soaked the cake. 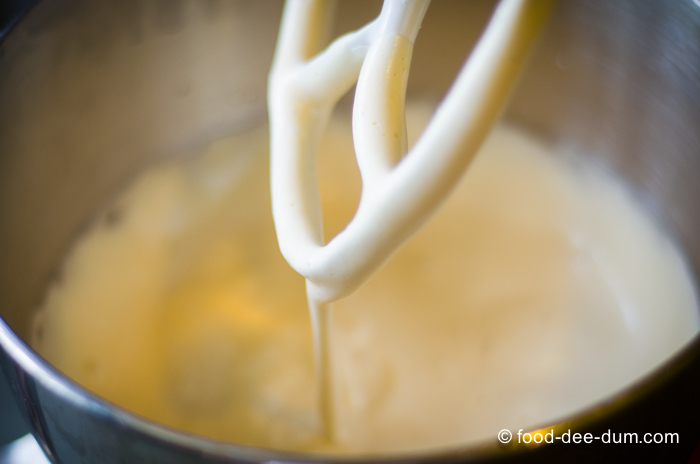 Setting this aside and letting the juices soak into the sponge, I placed the whipping cream in a chilled bowl, placed over ice (an ice pack, actually) and used my hand beater to beat the cream till it thickened and formed stiff peaks, about 3 minutes. Then I added the sugar and vanilla and beat for another minute. I gently spooned this cream over the plums and placed it in the fridge to chill and set a little (since this insane Delhi heat does silly things to whipped cream). 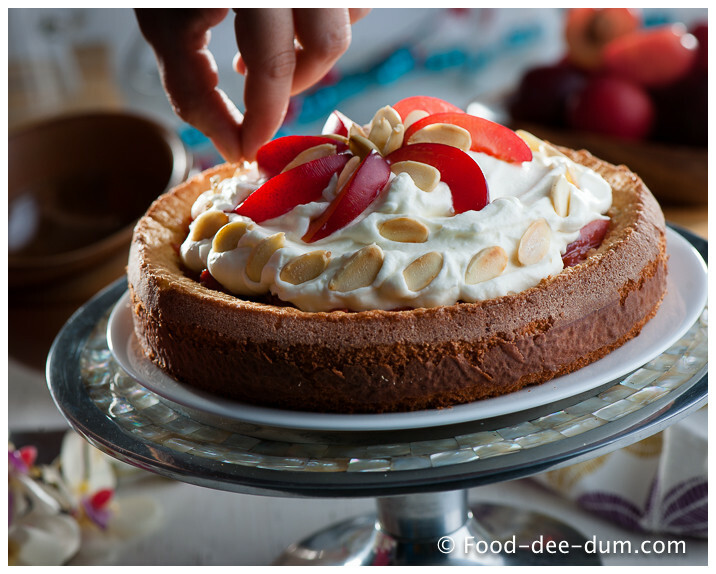 Before serving it, I garnished it with the reserved plum wedges and toasted almond flakes. What I love most about this recipe is that you can do this in as easy or as complicated a manner as you choose, or depending on the time you have at hand. You can get equally fabulous results by buying a store-made sponge, cutting out a basin, soaking it with a liqueur of your choice, spraying in some whipped cream from a can and topping with any fresh fruit of your choice. It’s versatile and very open to interpretation! Try it today. Seriously. You will love it. The original recipe is for an 11″ flan pan/ mould (which has a basin and there is no need to carve one out. So if you happen to have one then change the temperature to 180 C and bake for 10-12 minutes. Else, use my instructions for a regular 8″ round pan above! 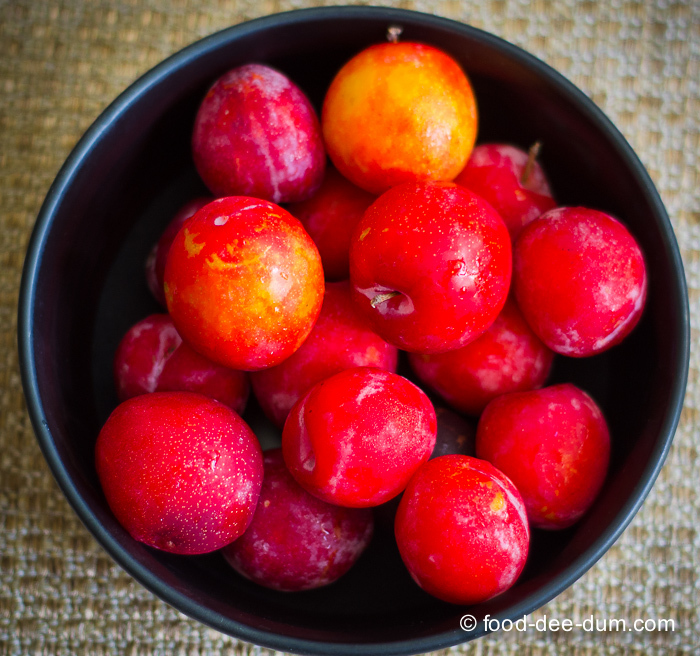 You can substitute plums with any fruit of your choice – fresh or caramelised. How much sugar/ caramel you need for the fruit would depend on how ripe/ sweet the fruit already is. If I had my hands on some very ripe and sweet plums, I would have gone easier on the sugar in the caramel and in the cream. So use a little judgement when you decide on this aspect. Grand Marnier is a great favourite of mine amongst the liqueurs. 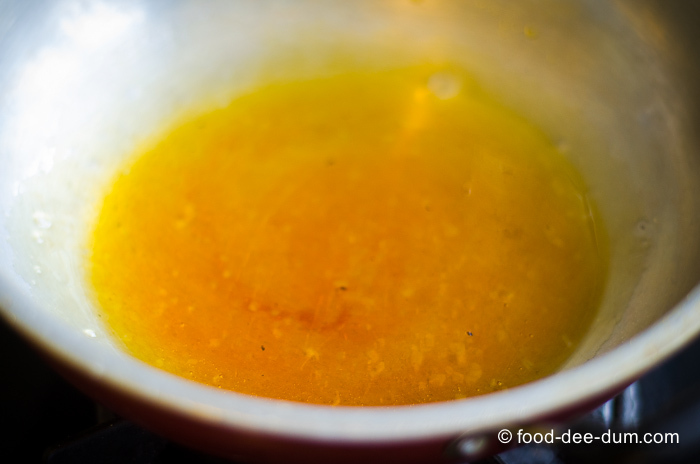 But if you don’t have any on hand, then add the grated zest of 1 orange and some brandy/ bourbon/ dark rum instead. Or just omit the alcohol altogether. Although I do love the slightly boozy taste. 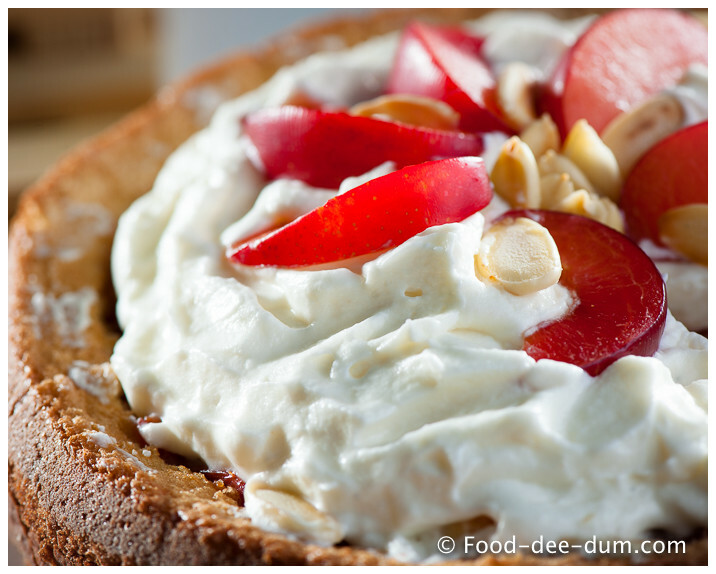 A simple yet flavourful cake with fresh stone fruit and whipped cream. Wash, half and pit the plums. Cut each half into 4-5 wedges, depending on size. 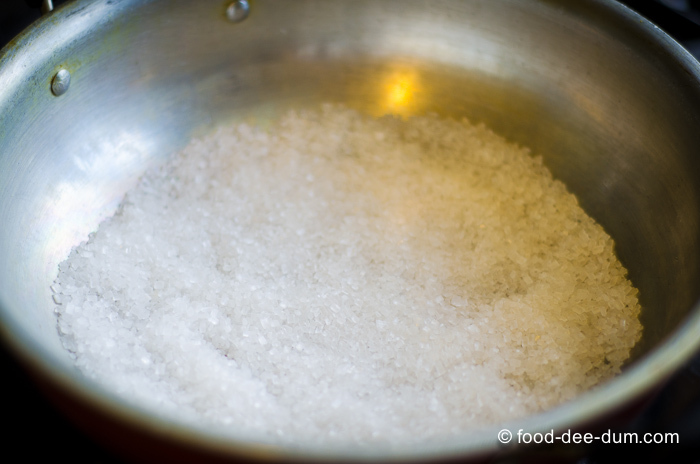 In a heavy bottomed, wide, silver coloured skillet or saucepan, place the sugar and heat on medium high. 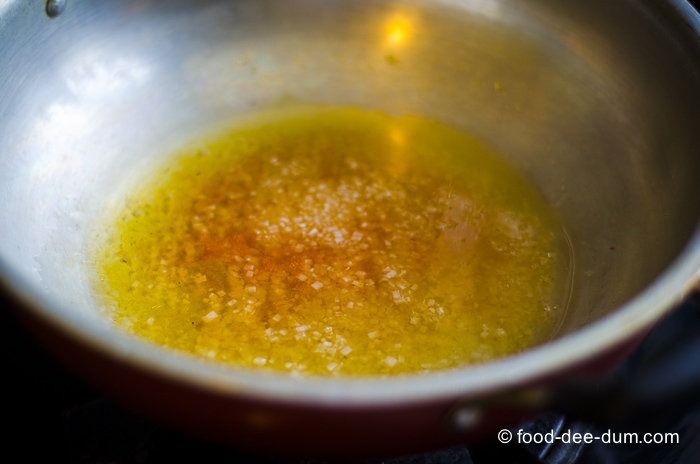 Swirl the pan occasionally but don't stir, until the sugar melts and turns a pale golden. Turn off the heat and add in the butter, Grand Marnier and cinnamon powder. Stir this with a metal spoon. 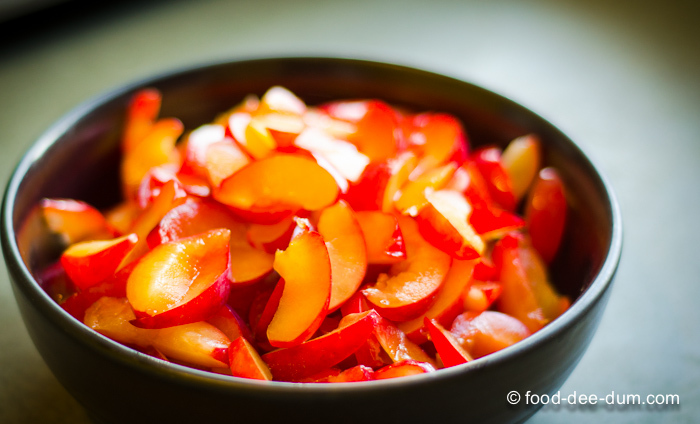 Reserve a few plum wedges for garnish and add the rest. Stir gently. 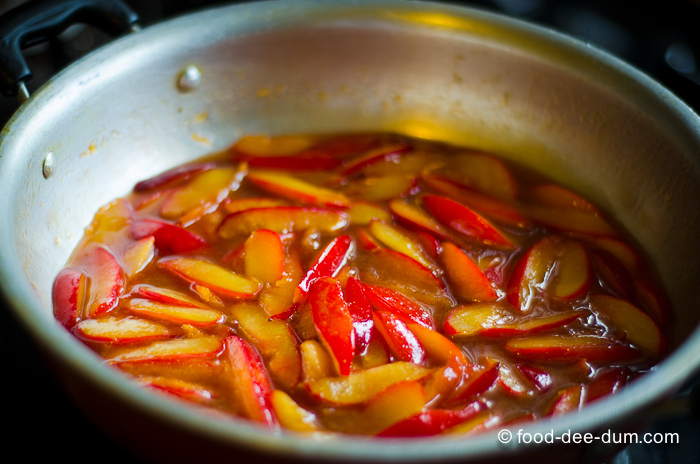 Turn the heat on to medium and cook, stirring gently, till the plums are soft but not mushy. About 5-6 minutes. There will be plenty of liquid, so you can reserve that to soak the cake in later. 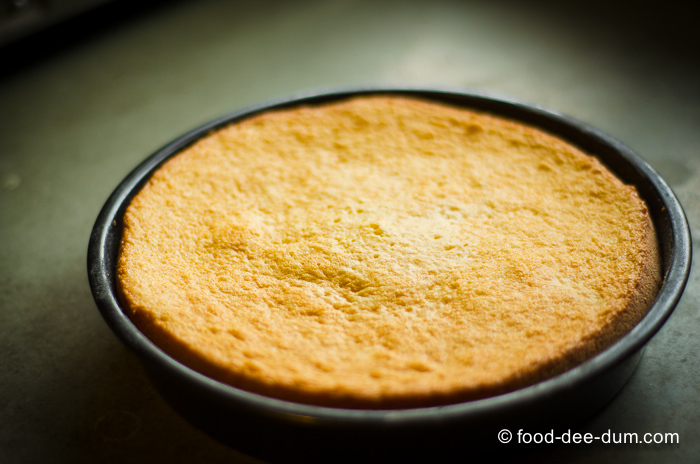 Turn on the oven to preheat at 150 C and prepare an 8" round cake tin by greasing it, lining it with parchment or butter paper and then greasing + flouring it again. 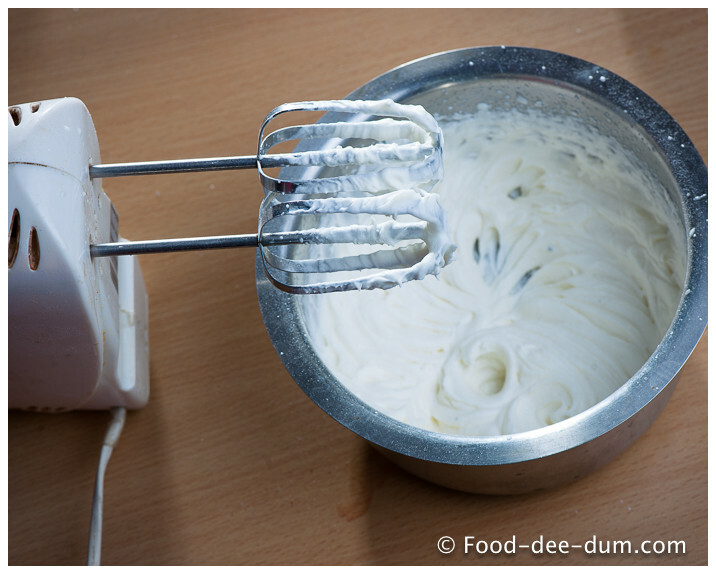 Whisk flour & baking powder together and keep aside. 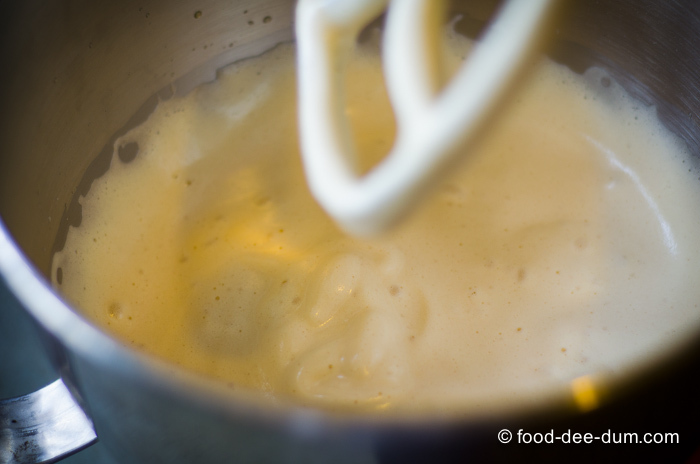 Using an electric beater, beat the eggs and sugar on high heat until pale, foamy and almost double in volume. About 8-10 minutes. Add the almond essence, Amaretto liqueur and beat for another 30-40 seconds until combined. 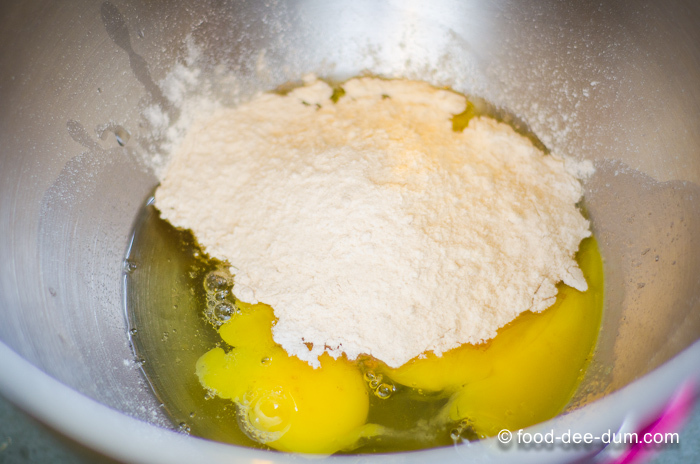 Using a metal spoon or a rubber spatula, fold the flour mixture into the egg mixture until there are no floury streaks left. Spoon the batter into the prepared pan and bake for 18-20 minutes or until a toothpick inserted into the centre comes out clean. The top will be springy to touch and the sides would have come away from the pan. Allow this to cool in the pan for 10 minutes and then transfer to a wire rack to cool completely. 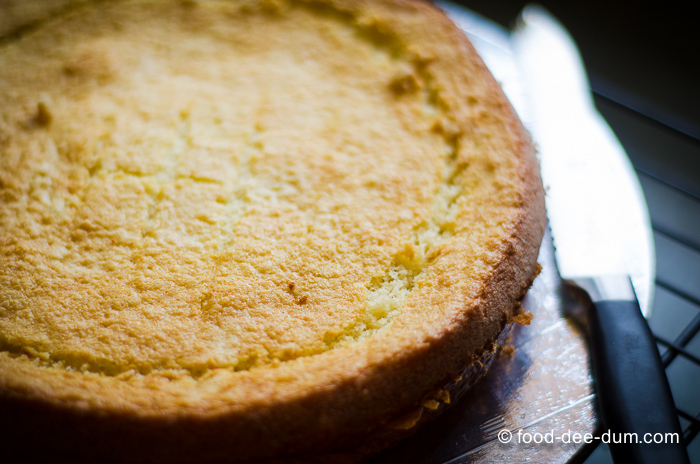 Once cool, use a serrated knife to slice around the inside of the cake circumference and scoop out some of the cake to form a basin. Spoon the plums into the basin and then spoon some of the liquid too - all of it may be too much. You can use the leftover for another day or reduce it to make ice cream topping. Allow this to soak while you whip the cream. 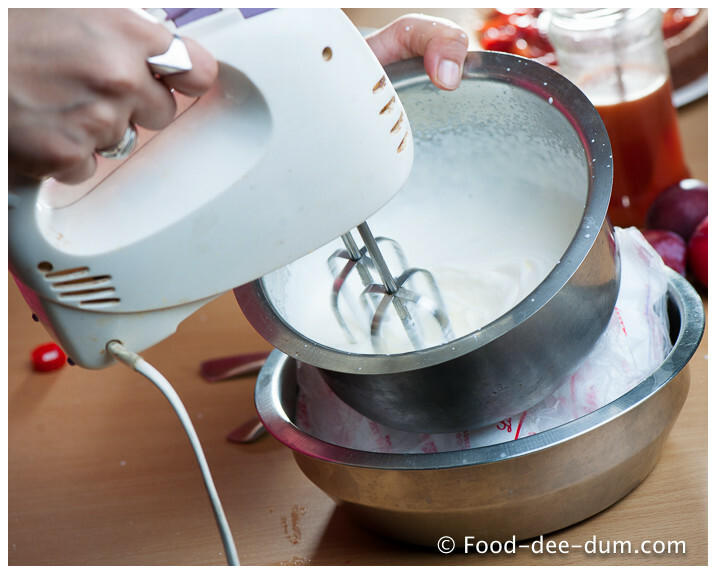 In a chilled metal/ glass bowl, placed over more ice, beat the whipping cream on high heat until it forms stiff peaks. About 2-3 minutes. 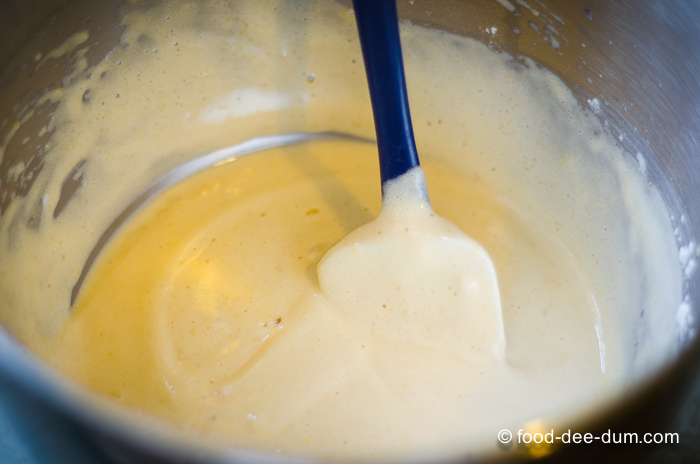 Add the vanilla and sugar and beat for another 1 minute, until it resumes the consistency. 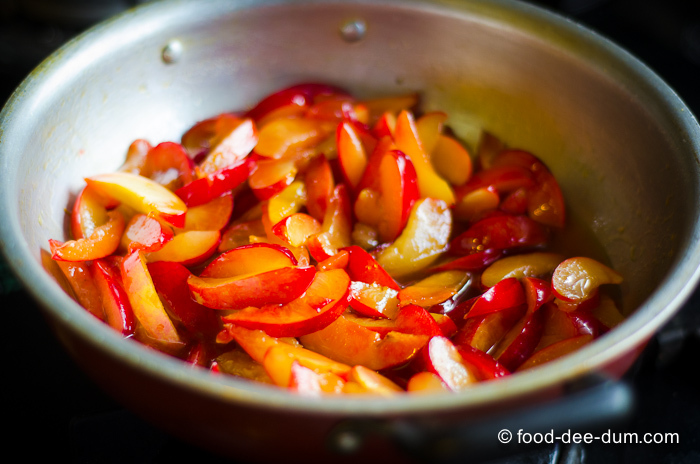 Gently spoon this over the plums and garnish with the reserved plums and some toasted almonds. Serve chilled.